The LE.A.DE.R. 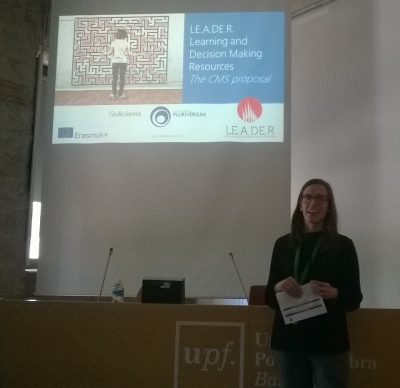 project (Learning and Decision Making Resources) has organized its first International Training session in Barcelona (11-15 April 2016) as an opportunity for esperts, teachers and practitioners to share ideas and tools with the intention to design an experimentation aimed at building a European framework for Career Management Skills and to test guidance services within this context. Each year the University of Camerino offers many guidance activities to Secondary Schools to be performed both at school and the University. Definitively, one of the most successful activity among the students attending the last two years is "Stage in Unicam," a 3 days event which allows students to experience university life and the study courses they are interested in. The reduction of the dropout represents, at the moment, a big point of attention for all the institutions. In Italy, the percentage of population with a high level of education is dramatically lower with respect to other UE countries. 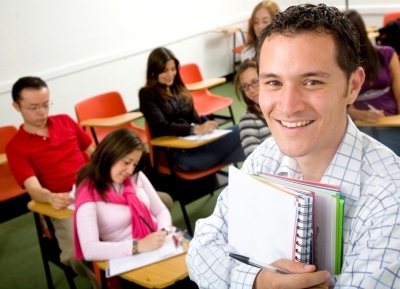 The Europe 2020 strategy for growth includes strategies to improve the educational levels. On 13th April 2016 was held the first International Conference of the LE.A.DE.R Project in Barcelona organized by Dep Institut. 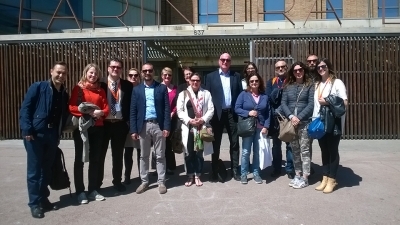 The conference named "Lifelong guidance in Europe: improving Career Management Skills" was hosted by Universitat Pompeu Fabra and introduced to the local participants and practitioners the framework that the partnership is elaborating. On May 5th and 6th 2015 the LE.A.DE.R Project partnership met in Adana (Turkey) for the Second Transnational meeting hosted by Cucurova University, the Turkish partner of the project. The partnership reviewed the results of the first stage of the project and Derby University presented the results of the international survey on career management skills realized by focus groups with practitioners and by on line questionnaires collected in the partner countries. 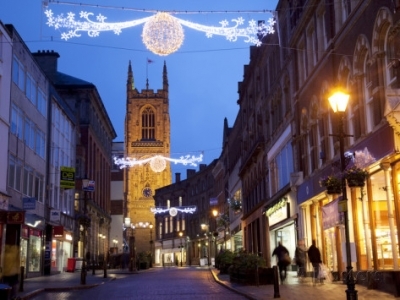 On December 4th and 5th 2014 the LE.A.DE.R Project partnership met in Derby (UK) for the first Transnational meeting hosted by Derby University, one of the English partners of the project. The main aim of this first meeting was to form a base for the future work of the parthership and to know better each organizations' activities. On the first day, each partner shortly presented him/herself and his/her organisation. The partership discussed about the aims of the project, the workprogramme, the roles of the single partners and the tasks to be performed. In Greece, a CMS National Framework has not been yet developed but, based on the above common rationale, there is a wide state/public policy interest in CMS. The National Organisation for the Certification of Qualifications and Vocational Guidance (EOPPEP) is an all-encompassing body operating under the supervision of the Ministry of Civilisation, Education & Religious Affairs, which invests on better quality and more efficient & reliable lifelong learning and lifelong guidance services in Greece. EOPPEP, as being a member of the European Lifelong Guidance Policy Network, and implements actions that contribute to the promotion of career guidance in Greece and to the upgrading of the services provided in accordance with the latest career guidance developments and the EU priorities and guidelines. 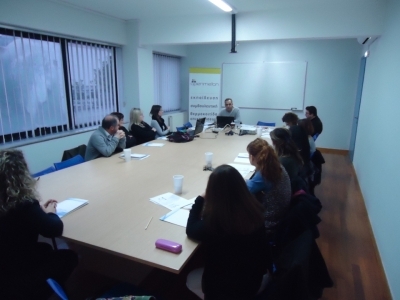 The first focus group of the European project Erasmus+ “Leader-Learning and Decision Making Resources” organized by the Institute of Entrepreneurship Development took place at the premises of Open Mellon, Larissa, on the 12th of March 2015, with the participation of approximately 15 Professional Guidance Practitioners and Trainers.